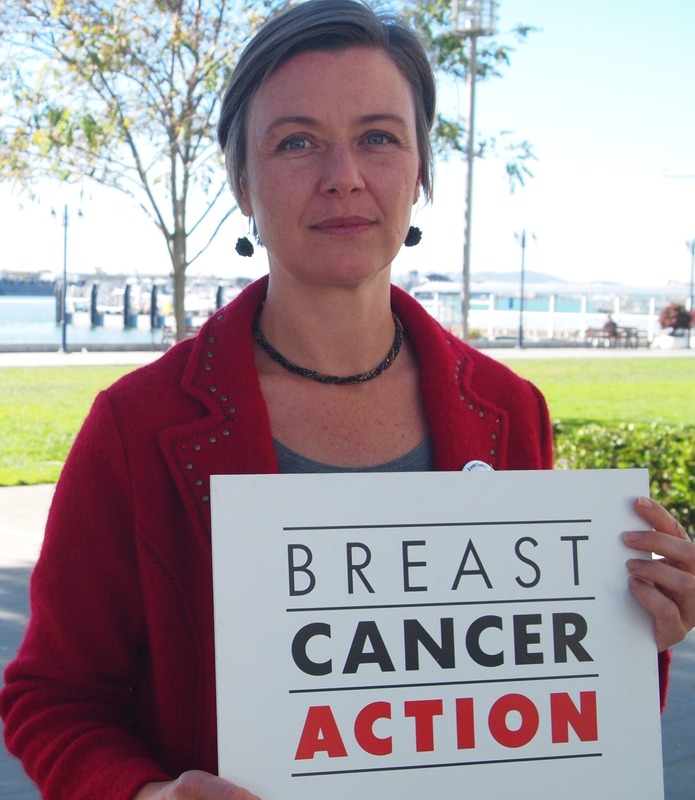 Let’s face it: Breast Cancer Action does controversial work. Our members are outspoken and opinionated and you aren’t afraid to tell us what you think — including when you think we’re on the wrong track. In January, we asked you to tell us what you think about our current work and priorities as we plan for the next five years at BCAction. We were prepared to be challenged and questioned by you. We were prepared for an earful! And we were overwhelmed (in a good way) by your responses! More than 1,330 people participated in our paper and online survey. And dozens more of you joined us for confidential interviews and focus groups. What we heard from you was so insightful and energizing. Overwhelmingly, you told us that Breast Cancer Action does important work, that you trust what you hear from us, and that we fill a unique roll that is different from most other breast cancer organizations. You described us as a knowledgeable, fearless, truth-telling organization that provides unbiased, evidence-based information and stands up for women living with breast cancer. You said Breast Cancer Action educates you on important topics. And you told us that you want to hear more about primary prevention of breast cancer and environmental links, treatment issues, and our role as a watchdog. In addition to our survey, as part of the strategic planning process we asked two U.C. Berkeley Board Fellows to conduct an independent landscape analysis of the breast cancer field. Their findings clearly highlighted our unique role as a watchdog and illuminated the uniqueness of our role as activists and our conflict of interest policy. Specifically, we continue to stand out in our field by not taking donations from any entity that would present a conflict of interest for us in our work (including pharmaceutical, chemical, and health insurance companies). Through our strategic planning, we’ve affirmed our commitment to social justice as we work to create a healthier and more just world for all women. As an organization that views breast cancer as a public health crisis and a social justice issue, we recognize that different communities experience the breast cancer epidemic in different ways. As long as some communities bear a disproportionate burden of breast cancer, we will work to bring health justice for all women at risk of and living with breast cancer. We know that we can’t do this work alone and we recognize the connections and intersections between the issues we work on as BCAction and the important work being done by our partners and allies. And we will always look to systemic solutions to stop cancer before it starts and to meet the needs of women living with breast cancer. In terms of what lies immediately ahead, spring is event season for us (and many organizations) and I hope to see you at one of our events across the country. By the time this issue is published, I will have been celebrating with many of you at our 10th Anniversary Billie Gardner Loulan Memorial event in the San Francisco Bay Area and at “Seeing Red: The Truth About Pink Ribbons,” a BCAction community event in Boston. I look forward to meeting up with many of our San Francisco Bay Area friends at “Acting Out: For the Health Of It” on May 1st or one of our other community events. I’ll share more about our strategic planning process over the coming months as we look ahead to the next five years and beyond. 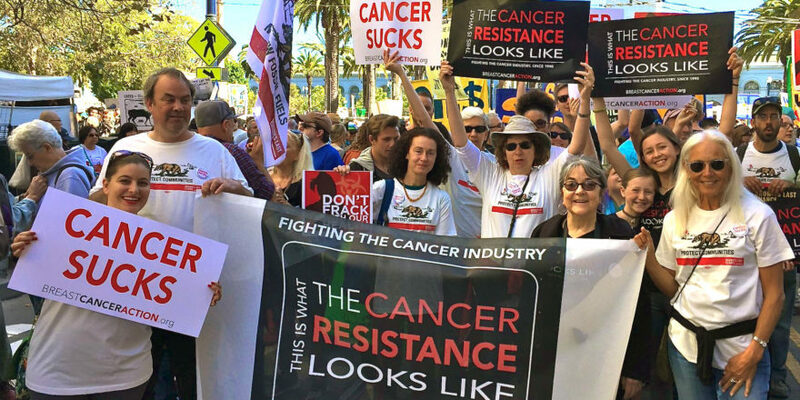 Thank you for being part of our community and strengthening this movement to shift the balance of power from corporate profit to public health.